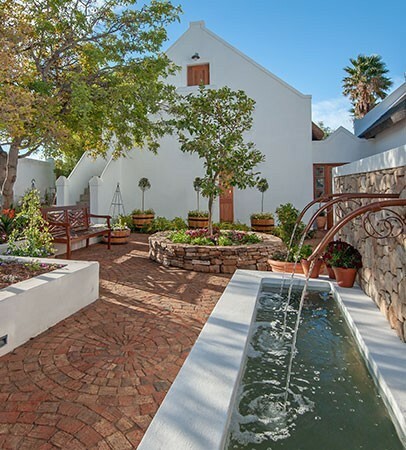 Built in the 18th century, the old Mirtehof farmstead has its roots stretching deep into the soil and rich history of Prince Albert. It remembers the broken heart of a young CJ Langenhoven. 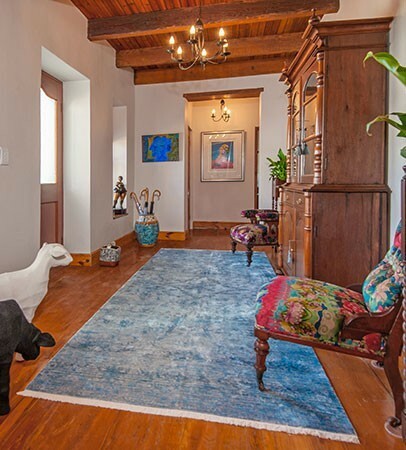 It breathes the quiet magic of the sunny Karoo, looks up with joy to the epic starry skies, and carries the hopes and dreams of those exploring its treasures. 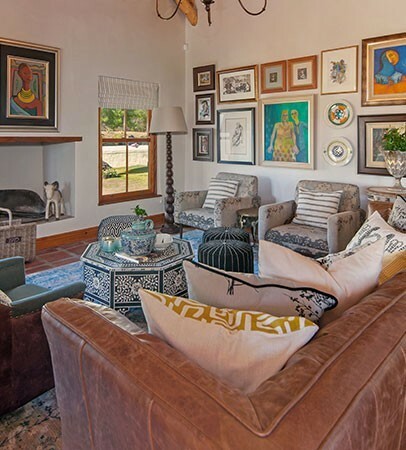 We opened our doors in September 2018 and even though the farm is far from a new kid on the block, we’re a new luxury accommodation option. 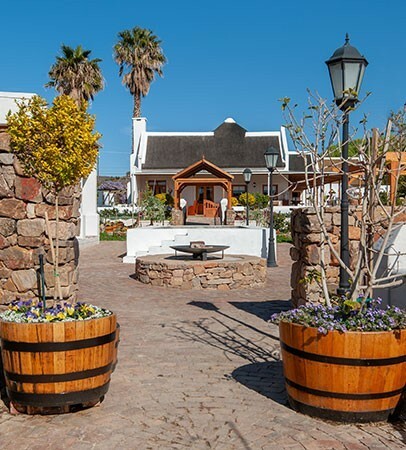 We’re perfect for a Karoo honeymoon, a rejuvenating break from the concrete jungle, or a well-deserved romantic escape. Mirtehof is perfectly located on the edge of town. 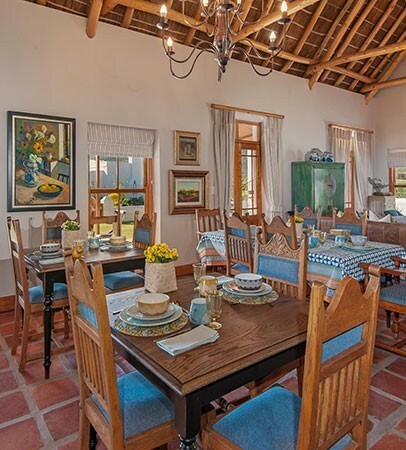 Guests wake up to the relaxed ambience of a small working farm, with beautiful views of the surrounding landscape, especially from the stoep. Breakfast is an authentic local affair, enhanced by what is crispy, fresh and tasty from our garden. 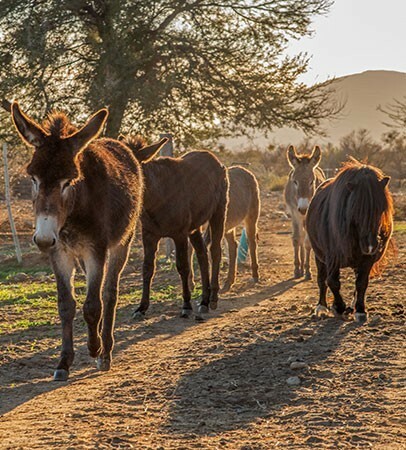 Whether you unwind on the stoep, take a walk to visit our donkeys or enjoy some breathtaking birding, there’s always something to do. Mirtehof is also a great base to explore the town and surroundings with an abundance of activities and experiences just waiting to be discovered. 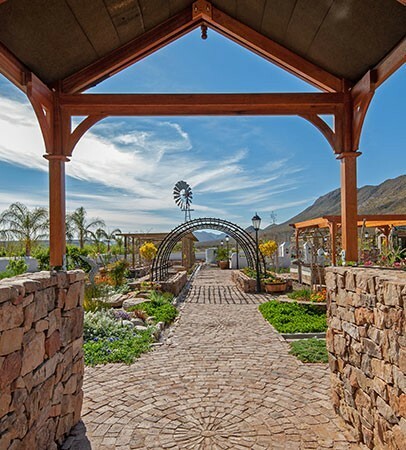 Most beautiful gardens - class and quality all the way!! Exceptional accommodation. Luxurious and stylish. 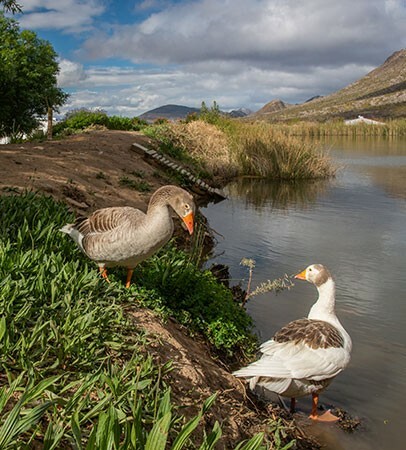 A cool oasis in the dry Karoo - great location and views. Garden a delight for the senses.Cute farm animals too.